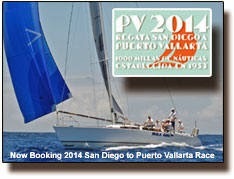 San Diego to Puerto Vallarta Race Opportunity…. So our San Diego to Puerto Vallarta race programs this coming March was a sold out event… until we got a cancellation last week. 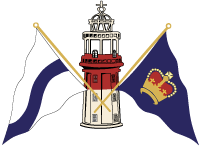 So, some sailor out there is about to get lucky. About 1100 miles (mostly) downwind into the land of sunshine aboard a turboed 50 footer. This is a fully managed, turnkey program. What more could you possibly want?!? So to whet your appetite, here’s a video from the last running of the SD-PV Race. We had a great team aboard, and an’ interesting’ year in the weather department. We started in some real breeze, and were just trucking. That’s our Hula Girl surfing at sustained 15-20 knots of boatspeed (at about 2:50-ish in the video). Then a couple days later things took a turn, and the breeze shut off down near Cabo. What’s in store for this year? Who knows, but that’s what makes it fun! The berths aboard our Offshore Racing Programs generally fill up a year or more in advance, so this is a pretty rare opportunity. If the winter blues are taking their toll and you want to see all the blues the the Pacific can offer up, visit here and/or contact us for details.